Throughout the fall, tight end coach Sean Beckton has made the hierarchy in his room very clear. There’s sophomore Jack Stoll at the top, redshirt freshmen Austin Allen and Kurt Rafdal battling it out for the second spot and then everybody else. Beckton hasn’t missed an opportunity to praise the work Stoll has done since the new staff arrived in Lincoln, and Wednesday was no different. Allen and Rafdal often get lumped together as the “twin towers" considering they stand out in the room at 6-foot-8 and 6-foot-7, respectively, but each has his own strengths and race for second-string reps is still neck-and-neck. The rest of the room consists of freshmen and sophomores, and Beckton said he’s getting those guys extra reps after practice to further the development of the whole group. Katerian Legrone and Cam Jurgens are the only other tight ends currently on scholarship. They both still have a ways to go to be complete tight ends and to be able to do everything Beckton asks of his players, but the coach is confident the freshmen can contribute to the team. Jurgens has turned heads in camp with his sheer power as a blocker, so much so that Frost called him one of the strongest players on the team recently. Listed at 6-foot-4 and 270 pounds, Jurgens is the heaviest player in the room already as a true freshman, and he’s caught the attention of other coaches on staff as well to the point where Beckton has to fight to keep the Beatrice product in his room. Jurgens has come a long way since the end of his high school career, which was cut short by a serious ankle injury in the Orangemen’s regular season finale. He missed the whole basketball season but returned for state track. Since then, he’s continued to rehab and is now back near full strength according to Beckton. Last season at Central Florida, Beckton played nothing but upperclassmen with four of them seeing action including three as full-time contributors. 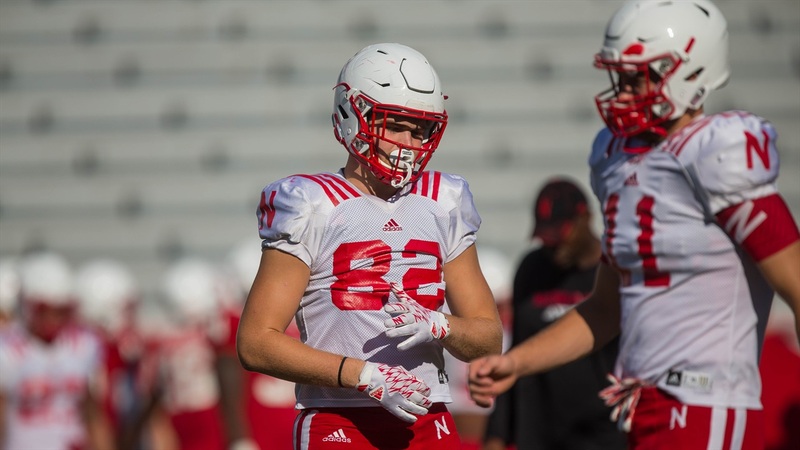 Nebraska doesn’t have any upperclassmen at tight end, however, so Saturday at Colorado will provide fans with their first look at Beckton’s young group.